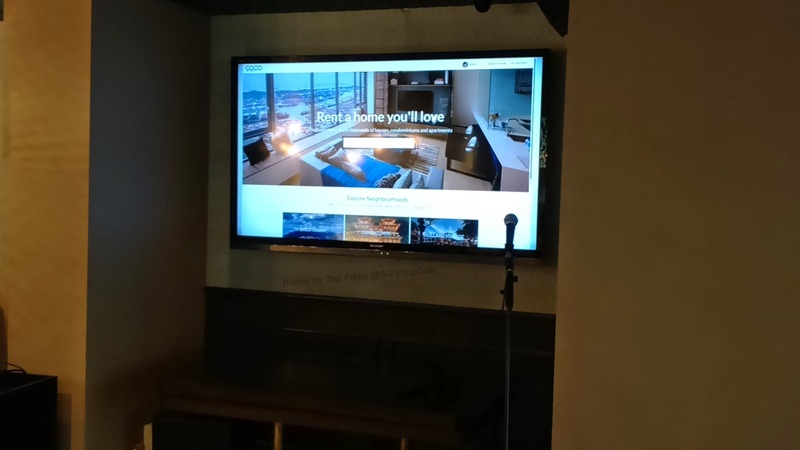 The wife and I (with our 10 year old and his iPad in tow) were invited to the soft-launch party of 99.co - an online rental search portal that promises to bring a fresh approach to the property search market. 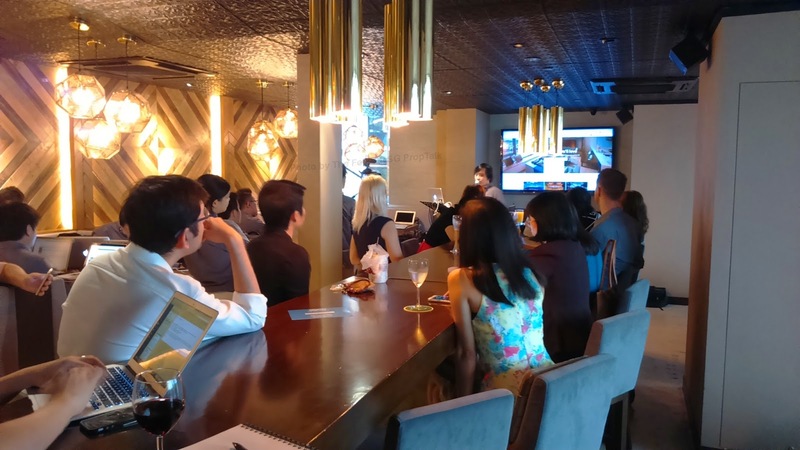 99.co is co-founded by Darius Cheung, a seasoned Singaporean entrepreneur who founded tenCube, a mobile security company that was acquired by security giant McAfee in 2010. He is also the brain behind homies.co, a portal that helps you find that perfect roommate. So why 99.co? The “9” (久) in Chinese or Japanese culture symbolizes ‘longevity’, which is synonymous to the real and long-lasting relationship that 99.co wants to build with their customers and partners. 99.co was conceptualized because (in accordance to their communication handouts) current property platforms are antiquated websites that provide a terrible search experience ridden with advertising, bad or duplicated listings, and give little regard to their users’ desired results and relevant information. So 99.co aims to bring a fresh perspective with its professionally vetted listings, providing clear, up-to-date images and descriptions. It wants to create a beautiful search experience that is simple, relevant and reliable, starting with a fast and intuitive map-based search interface that is complemented with relevant information such as transport options. 99.co has also created ListRank, a proprietary algorithm designed to provide property seekers with the most relevant search results. ListRank takes into consideration more than 30 data points including listings’ attributes and quality, users’ profile, and search behavior to deliver the most relevant search results. 99.co also plans to incorporate ratings and reviews as a feedback system to continue to improve the search results. 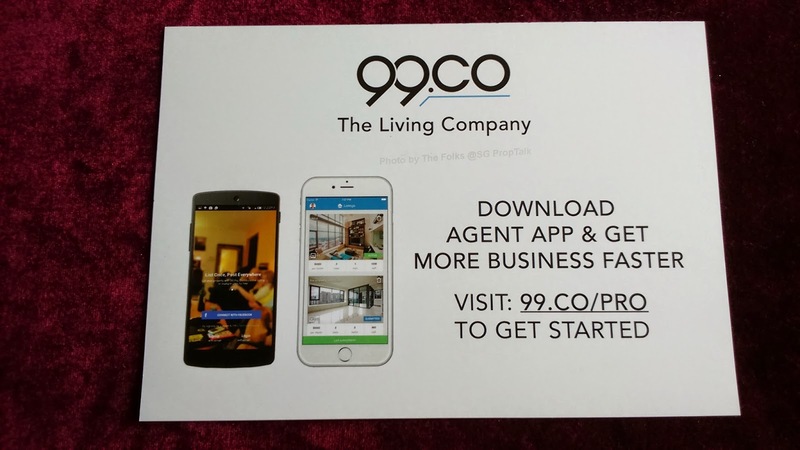 The 99.co team has worked with over 150 real estate agents over the past 9 months to design the platform before coming out with the website, consumer and property agent mobile apps. The wife and I did check out the 99.co website prior to attending the soft-launch. It is definitely an eye-catching search site with easy user interface and many beautifully taken photos of apartments that are supposedly up for rental. And the site already has more than 10,000 listings! You can key-in anything from the name of the actual street that you want to live in to even the name of your favorite chicken rice stall... assuming you love the food so much that you want to know if there's an apartment that you can rent next-door to it, of course. However, this is (unfortunately) where our affinity for 99.co ends. The wife and I do agree to certain extent that the traditional property websites are filled with repeated ads and not-so-appealing (many "recycled" from agent to agent) photos that provide little insight into what the apartment for rent looks like. But it is really not that big an obstacle (or annoyance) for users to overcome... at least not to us anyway. And once you have grown accustomed to these sites, you are probably able to identify the "duplicates" rather effortlessly. The wife and I must admit that we belong to the older generation of property hunters. We have also been on both sides of the "rental fence" over the past 10 years. When comes to finding a place to rent, the two main criteria for us are location and cost. With location, we always have a specific area (or more usually, a specific development) in mind, based on our needs at that point in time - which typically does not include living next to our favorite restaurant or where the wife goes to do her grocery shopping. Once the location is decided, we will search through the property websites for residential developments within that area with units that meet our budget. We like the fact that the traditional sites provide us with all the different listings (and usually on the same page too!) of apartments within the same development that is up for rent.This provides us with easy reference to compare the different units available in terms of asking rentals. While having nicely-taken photos of the apartment concerned does help with the decision process, the wife and I have never based our decision solely by the photos shown in the websites - we strongly believe in viewing the place for ourselves before making the decision on whether to rent. 1. What makes a successful property sites (in our humble opinion, as always) is more the vast selection of listings for users to compare and choose from. And this is largely a function of the number of "buy-ins" from property agents that 99.co can get. The wife and I are pretty certain that since the service is offered free of charge during the initial months, it should generate a fair amount of interests amongst agents who may be tempted to try out the service - even our forum page gets several property listings everyday, given that it is free to advertise. But whether such interests can be sustained after the "free trial" period remains the key question. And if agents deemed it not worth their money, the number of listings will fall and with it, the number of users. 2. Speaking of being "worth the money", the biggest challenge we see with 99.co is how they can distinguish themselves from being a "me too" product. 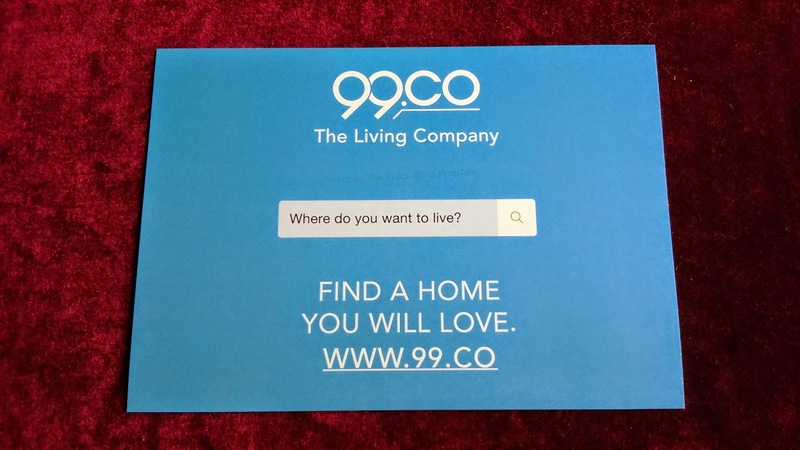 In our layman's perspective, 99.co looks to be another property search site (rental focused, at least for now) that combines the likes of Google search, Streetdirectory.com and Property Guru into its portal. There are the "extras" on their search site that 99.co have said will make a difference but will users deem these "extras" as just frills or truly added value when compared to what they can already get from the "traditional" sites? The wife and I also understand that 99.co is trying to differentiate themselves by offering vetted listings, list ranking and ratings and reviews etc, ala Air BnB. But the biggest challenge is always trying to maintain that initial high standards, especially when there is revenue pressure. And if the high standard of listings that they seek starts to slag because the property agent themselves decide that it is not worth their while (and money) to list on 99.co, will the portal end up becoming just another "traditional" property site? 3. None of the team members at 99.co has any real estate marketing experience - a fact acknowledged by the founder himself. And most of the staff (from what saw at the soft-launch) belongs to the 20 - 30 demographics. So this makes the wife and I wonder how many of them have ever rented an apartment, much less know/understand the Singapore rental market scene. And if you do not have an "in-house expert" when you are supposedly vetting the listings, you are likely to depend on third-party information and views, which mostly often than not are vested. So the "objectivity" issue will come to question. Having said that, it is quite evident that the wife and I come from a generation earlier than the folks running/working at 99.co. We reckon that if the portal will to gain traction, it will probably be with the Generation Ys and more so foreigners who are coming to Singapore for work or studies and need to rent a place to stay. And from our observations at the launch and the testimonials that the portal have received so far, the wife and I may not be that far off our mark. Although the Company has insisted that they are not the usual "built-to-sell" startup and believes in building an enduring organisation and culture that would make a real and lasting impact to society (thus the name 99.co), the wife and I reckon that THAT will probably be their most realistic strategy - built to sell. Then again, we are no startup guru so what do we know? Anyhow, the wife and I would like to give a quick shout-out to Wen Qian from 99.co for inviting us to the soft-launch party yesterday. We wish you every success in your endeavor. And if you have a couple of spare minutes, do head on to 99.co to test out the site and let us know what you think. On a separate but related subject, the wife and I have stumbled upon an entirely different business model for a rental property search site while discussing about 99.co. All we now need is to find a couple of young (in age or at heart), eager, "do not really bother a whole lot about current remuneration while aiming for the pot of gold at the end of the rainbow" sorta website and search engine designers/programmers. And who knows, SG PropTalk may yet be able to come up with our own property rental portal! No Comment to " 99.co soft-launch party "